People tend to make a lot of mistakes when financing a car. It can save you a lot of money if you avoid making these critical mistakes. Many are easily avoidable and it takes very little time and effort to do so. You absolutely must know what your credit score is before you apply for car financing. There are two aspects to this critical tip. First, you must make sure that your score accurately reflects your credit history. There could be erroneous negative events in your credit report that lower your credit score and therefore raise your interest rates. By getting your credit score in advance of applying for financing, you will be able to correct any errors in your report so that you don't pay a higher interest rate than you should. The second aspect of this tip is that you want to take away the dealer's ability to lie to you about your score and rip you off by setting you up with a high interest rate loan. If you know what your credit score is before you set foot in the dealership, you can instantly put a stop to this common scam. Before considering a car loan, you must figure out what payment you can afford. We have a detailed blog which answers the question how much car can you afford? In the blog we give advice and show you how to utilize some free tools we offer. Never tell the car salesman how much you can afford for a monthly payment. If you do, they will do everything they can to turn you into a monthly payment buyer which we discuss below. You should always try to line up your financing in advance. You can apply with an online lender like LightStream or apply with your bank or credit union. There are a few reasons that we recommend you shop around ahead of time. First, you will find out how much you can get approved for and what your payments will be. This information will help you with your budgeting and knowing what cars you can afford. By getting a few quotes, you will get a clear picture of what interest rate you should be paying. Once you have all your ducks in a row it can set you up to save even more. Often, dealers will beat the rate that you show them so that they can write the business. REMEMBER, a small increase in interest rate leads to a large increase in payments over the life of the loan. Just be careful that they don't change the length of the loan which can increase your total payments. Make sure to pay attention to the term of the loan, also commonly known as the length of the loan. This is a very important aspect of car financing. As with any loan, the longer the term, the more total interest you will pay. By extending the length of the loan the dealer can give you lower monthly payments. The trick is that they are getting more money out of your pocket and into their profit while making you think that they are looking out for you. The longer the term of the loan, the higher likelihood of ending up upside down on the loan. You can read more about being upside down in our blog article about how to avoid upside down car loans. This mistake is related to the one that we just discussed. We talk about this in great detail in our new car buying guide. The last thing you should ever do when buying a car is to focus on the monthly payment. You need to negotiate the price of the car and the interest rate for the loan independently. Next you should make sure that the loan term is as short as possible. Ideally it should be 36 months but never more than 60 months. The salesman wants you to focus only on the monthly payment so that they can maximize their profit. They use this sleight of hand to give you a bad price on the car, insert other products into your financing or sneak in a higher interest rate while keeping your payments deceptively low. 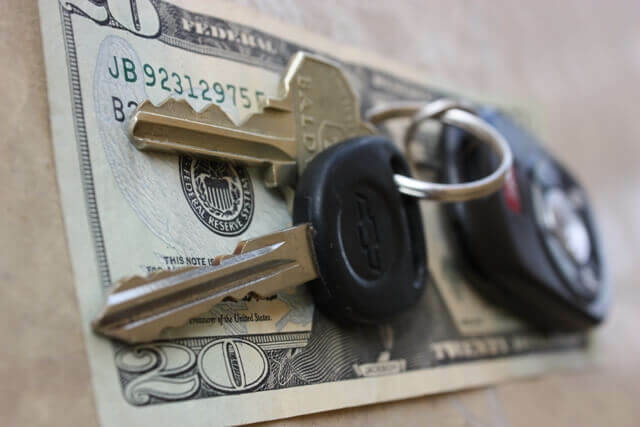 Even though most people don't think about it, there are cases where car loans include early payoff penalties. Normally, you'd think that a lender would be happy to get their money sooner because it lowers their risk. However, many times there are rebates or special low interest rates attached to the financing. It only makes sense to offer these incentives if they guarantee that they will get enough revenue from the loan. There are two cases where this can come into play. The first case is if you have enough money saved up to buy your car in cash but decide to take out a loan in order to get a promotional rebate. You don't want to find out that when you pay off the loan immediately your rebate is offset by the early payoff penalty. It will be even worse if the penalty is more than the rebate. The other case is if you decide to sell or trade your car in before the loan term ends. You might end up having to pay a penalty that hits you with an unexpected cost. This could also happen if your car is totaled or stolen.